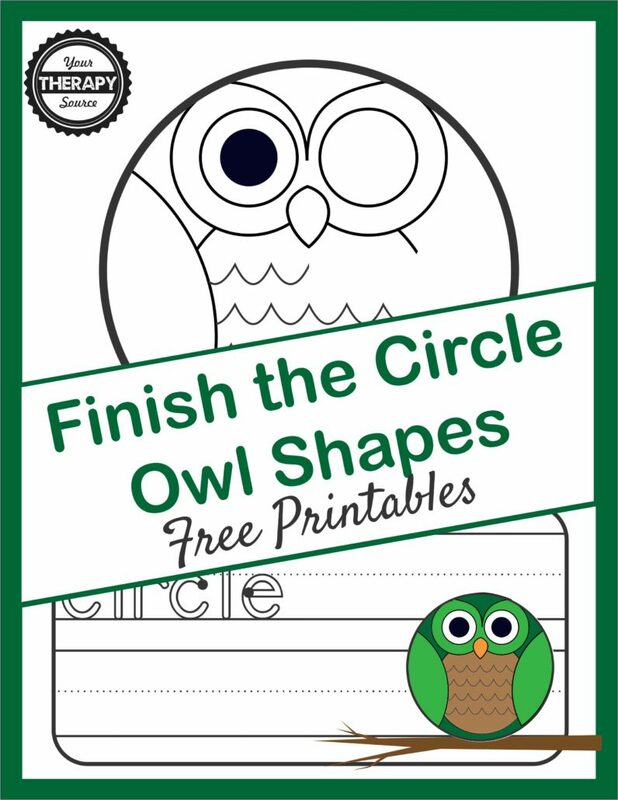 Here is an adorable freebie from Shape Owls. Students can practice shape discrimination, visual closure, and handwriting skills with this 3 page free printable. It includes 3 levels of difficulty – color the circle, finish the missing part of the circle owl or finish the missing half of the circle owl. Each page allows for handwriting practice of the shape word. Need more circle projects? Check out Step By Step Circle Animals to practice coloring, cutting and pasting skills. 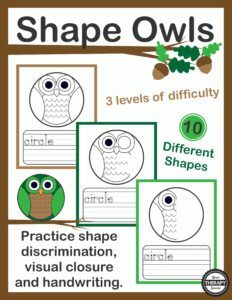 Find out more information about the complete Shape Owl packet that includes 10 different owl shapes with 3 levels of difficulty to practice shape discrimination, visual closure, and handwriting skills. 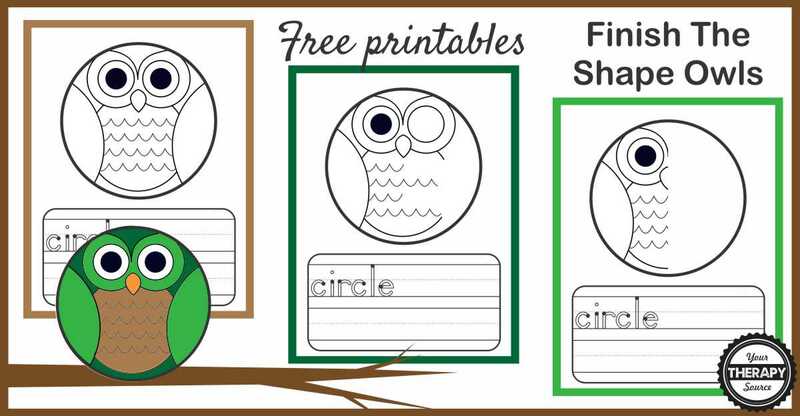 Shape Owls helps children to learn to identify and describe 10 different shapes. Analyze, create and compare 10 different owl shapes – circle, square, rectangle, triangle, diamond, oval, star, pentagon, hexagon and octagon. There are 3 levels of difficulty.